← Does wine shorten your life, or does life without it just seem longer? Three years ago I wrote what has turned out to be my most-read blog post, a summary of a study on pesticides in French wine. A French consumer protection organization, Que Choisir, tested around 100 French wines for 165 different pesticide residues, including some banned pesticides, naming names in their published results. In the background for the study, Que Choisir indicated that vineyards use 20% of the country’s agricultural pesticide volume, even though they account for less than 4% of agricultural land use. Since the French government had launched an initiative to reduce pesticide use by 50% from 2007 to 2018, Que Choisir wanted not only to inform consumers about which wine regions appeared to use the most pesticides, but also point the way to regulators for targeted reductions. Since the study was done more than four years ago, I contacted Que Choisir to see if they were doing a follow up. The organization replied that they are planning to do one in 2019 or 2020 – presumably after the 2018 pesticide use reduction period ends, to see what the results are. I guess I shouldn’t have been surprised to learn this. Grapes and grapevines are susceptible to all kinds of mildew (powdery mildew, downy mildew, and Botritis), molds, and just plain rot if there aren’t precautions. Climate can help – hot and dry with steady winds can keep undesirables in check. Targeted leaf removal from the vines, to get more sun and air circulation, is another technique, as is tying leaves to the trellis wires to keep them separated and keep some of the leaves away from the grape clusters. Fungicides are still widely used, though, so I wanted to learn more about them. This isn’t a comprehensive look by any means, just a first pass to see what substances get used and why. The initial takeaway here is that fungicide use, at least as currently practiced in vineyards and agriculture in general, is almost certainly the least of our worries where pesticides are concerned. By far the biggest fungicide use on wine grapes comes from two things – sulfur or copper. Four of the 10 substances on the U.S. Department of Agriculture’s list of 10 permitted fungicides for use in organic farming contain those two elements in naturally-derived forms. Two others are potassium compounds. The remainders are natural oils. One of my French producers whose vineyards are certified organic confirmed that these are the substances she uses as fungicides on her vines. Sulfur and copper are used as sparingly as possible. 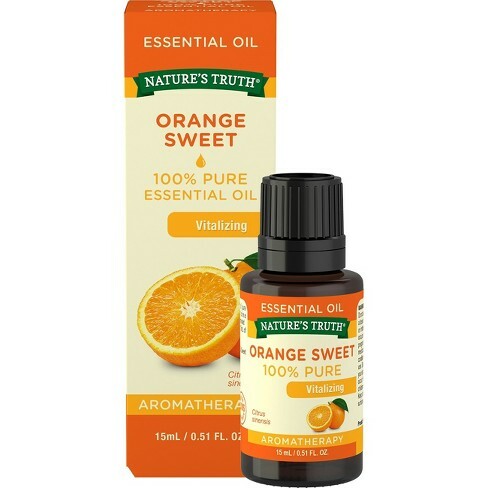 Additionally, she uses essential oil of sweet orange, potassium bicarbonate, and various naturally-occurring bacteria that help combat mold and mildew. 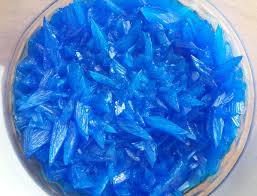 Many of you may remember copper sulfate crystals from high school chemistry lab. In addition to turning things a lovely blue color, copper sulfate is a commonly-used fungicide for wine grapes. The advantage of copper and sulfur is that they’re topical — they get applied to the vines and grapes and don’t get absorbed by the plants, and so are easily washed away by rain. They don’t end up in the grapes – as opposed to fungicides that are sprayed on the plants and soil to be absorbed through the leaves or roots and work from the inside. These are called systemic fungicides, and you’d be much more likely to find their residue in the grapes than topical fungicides. Che Choisir didn’t test for the ten fungicides allowed for organic use. But even if they had, these substances almost certainly wouldn’t have shown up in wines. This doesn’t mean there can’t be problems with the fungicides approved for organic use. Prolonged exposure to copper can cause kidney and liver damage. Workers have to take precautions when applying copper to avoid inhaling the liquid or dust. And since it’s a metal and doesn’t break down, the amount in the soil can build up if used too frequently. My producer told me that her vineyard’s soil gets tested every year for copper to make sure they’re minimizing accumulation. This becomes particularly important when people are working in the fields, to avoid inhaling copper from soil dust. Potential health effects of sulfur as it’s used in agricultural practice have barely been studied at this point. I suspect it’s partly because sulfur was used as a topical antibiotic for centuries, so there’s a predisposition to expect little harm. And so far there hasn’t been any indication of issues with non-worker exposure for adults. However, vineyard workers wear protective gear to prevent skin, eye, and respiratory irritation when they apply sulfur. But there may be unintended health issues beyond the fields. A 2017 study on children’s exposure indicated increased incidence of asthma and other respiratory illnesses for children living within one kilometer of farm fields treated with sulfur. Children inhale more air per pound of body weight than adults so their exposure is going to be greater than adults’ would be under the same circumstances. Obviously, more research is needed, but it’s clear that it’s worth extra caution to avoid overuse and drifting beyond the fields. The other issue is that molds and mildews can become resistant to treatment, even with copper and sulfur. Everyone’s heard about antibiotic-resistant “super-bugs,” and there are some weeds that have become resistant to the herbicide Roundup. But there have been cases of resistant mold in vineyards already, so it’s worth minimizing use of even the least harmful substances. The temptation is to think more is better just in case, but we certainly don’t want to have to stop using the things that seem to work with the least potential harm. So what started as a seemingly alarming statistic about fungicide use in French vineyards doesn’t seem so scary. This isn’t to say that grape growers don’t want to minimize fungicide use, to minimize worker exposure, protect surrounding communities, and potentially save money. But I’m more worried about things like the U.S. EPA Administrator Scott Pruitt’s decision not to ban chlorpyrifos – an insecticide widely used on produce – despite the agency’s own scientists recommending the ban due to its neurodevelopmental effects (demonstrated through decades of data). As I mentioned last time, drinking wine may not extend your life, but at least we don’t have to worry about children’s nervous systems being affected by its production. Now that we have our kitchen back and better than ever, I’ve been in there a lot. But doing just as much baking as cooking. I got a copy of Sweet by Yotam Ottolenghi and Helen Goh and so far have made three desserts from it, including one called “Vineyard Cake” with grapes on top and a 500 ml bottle of sweet dessert wine in the batter. But my favorite of the three were the madeleines made with honey, orange, and saffron. I’d never used saffron in a dessert before. You could taste it (and see the threads), and it was warm and just slightly spicy. Since my husband is half-Iranian, we get some excellent saffron and I use it in Persian food. My first encounters with it, though, were in Seafood Paella and Bouillabaisse. But it also works well with chicken. In fact, my mother used to make a chicken version of Bouillabaisse from a cookbook I gave her in 1989 called Mediterranean Light, by Martha Rose Shulman. Shulman wrote a few “light” cookbooks, and I think they hold up better today than when they were published. Mostly because we have access to a lot more and better ingredients than we did back then. And if you’re going to eliminate most (or all) of the butter and cream from recipes, you need really good ingredients. I have changed almost everything about the original recipe. And I’ve added back the rouille, which is a garlic mayonnaise that you spread on toasted baguette slices and either float on the Bouillabaisse, dip in, or eat on the side (which I do, since I don’t like soggy bread). The rouille is good for other things, it makes a great sandwich spread or add more olive oil to it and use it as a vegetable dip. Shulman adds potatoes and shelled fava beans to her recipe, but I use the rouille and bread instead of potatoes, and a drain and rinsed can of small white beans instead of the favas. Bouillabaisse is Provençal in origin, so you’d probably expect a rosé with it. But I think Cave la Vinsobraise White ($12) is a better pairing because the blend of White Grenache, Viognier, and Marsanne hits all the same notes as the Bouillabaisse. In fact, get two bottles because you’ll need almost a whole bottle just for the dish. How nice when your food gets to drink well, too! Combine the wine and chicken stock in a saucepan, bring to a boil, then reduce the so it’s still boiling and cook until the liquid is reduced to 4 cups (about 25 minutes). Add the drained tomatoes and the saffron, plus the dried thyme (hold off on the fresh thyme if you’re using it). Cover the pan and set it aside. While the wine and stock are cooking, heat 2 tablespoons of oil in a Dutch oven, then add the chicken thigh pieces. Cook for about 4 minutes, then turn and cook the other side. You may have to do this in batches, depending on your pot. Remove the chicken with a slotted spoon and put it in a bowl. Add the remaining olive oil, heat it up, and add the onion and white slices of scallion, plus the fresh thyme (if using) and the fennel seed, and about ½ teaspoon each of salt and pepper. Cook until the onions just start to get a little brown on the edges (about 10 minutes, stirring often), then add the garlic and the lemon peel and cook for a minute. Add the wine/stock/tomato mixture, then the chicken. Heat until boiling, then reduce the heat, cover, and simmer for a half hour, until the chicken is cooked. Remove the lid, then add the drained beans, scallion greens, and a tablespoon of lemon juice. Cook for a few minutes to heat the beans, then taste for salt, pepper, and lemon juice. Ladle into big bowls and drizzle each bowl with a little olive oil, serve with the baguette slices slathered with as much rouille as you like. This entry was posted in Fungicides in wine, Uncategorized and tagged Botritis, buy wine online dc, Cave la Vinsobraise White, Chicken Bouillabaisse, Copper Sulfate, downy mildew, Essential oil of sweet orange, Fungicides in organic farming, Fungicides on wine grapes, Fungicides used in French vineyards, Pesticides in Wine, powdery mildew, Saffron, Tom Natan, wine delivery washington dc. Bookmark the permalink.